* movable - Hold down Alt and left mouse button to move it around. The configuration can be found in "dMinimap\dMinimap.lua". 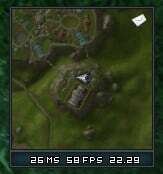 -- minimap default position - you can move it ingame by holding down ALT! * north tag be gone! * added the option "to enable/disable positioning of the PvP tracker (feature disabled by default)"
Any chance for an update for 6.0.2? Anyone having troubles dragging the map? 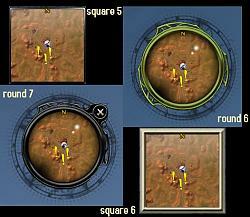 Normally you are able to see things on the minimap, when you are doing a mouseover. Since I have the Addon, it does'nt work anymore. No chance on 12H clock format? Is there anyway to make it show the World latency instead of Home latency? I would like to set the default position to BOTTOMRIGHT but changing this in the Lua doesnt seem to do anything. Any advice? It does work for new characters. It doesn't for characters you logged onto with the map loaded before. Since the position of the map will be saved in "layout-local.txt" (see descrpition), the first time you log in with the addon enabled. You can either delete that file (note that it might contain the position of other frames, too that will be deleted, too) or edit (notepad, wordpad, ...) it and remove just the lines that contain the minimap position. Either way, this has to be done with wow being closed, at least logged out (login screen). If you don't want to go through this, you can always move the map ingame with alt + left mouse button. Last edited by Dawn : 11-16-12 at 05:19 PM. 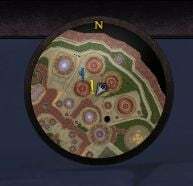 I love your minimap really do but i have never liked the quest tracker at all is there some way of hiding it? Just don't use it? Interface options ... don't track quests. Solved. Right?